Your bird must be rezzed from another object in order to live and breed. Obviously, this requires an egg. Now position them together to be an egg shape, and link them together. Note: This prim MUST be named 'XS Egg'. 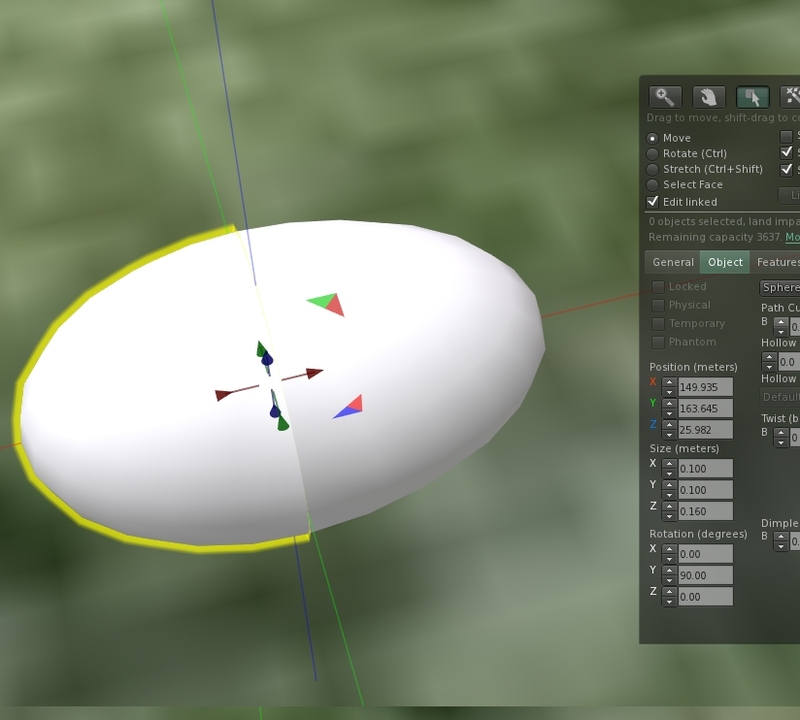 Put a copy of the script xs_egg in the 'XS Egg'. Set the permissions on the script to No Mod. Set the entire object to No Mod. And set it to copy, as you want your customers to grow lots of hungry little birds. Take this egg back into inventory. In the next step, we will make a bird crate.